After winning 11 games in 2011 it was a tough year for Michigan in 2012. Even with the return of Heisman candidate Denard Robinson and others the Wolverines struggled to an 8-5 mark including a blowout loss to Alabama. Although Robinson is gone the quarterback position is in good hands and their is talent everywhere in Ann Arbor. and quite a talent. Junior Devin Gardner played significant time last season and showed flashes of brilliance. Coach Brady Hoke favors a run-based, pro style attack and that fits perfectly in with Gardner's skills. Gardner is just as dangerous as Robinson with his legs and has a huge arm. He won't need to pass a lot this year with how talented back Fitzgerald Toussaint is. Now a senior, Toussaint is one of the most talented running backs in the Big Ten. He had 514 yards before suffering a broken leg. If he is healthy in 2013 he should be a real threat this year. Toussaint is more of a between the tackles runner while incoming freshman Derrick Green, the nation's fourth-best back, is more dangerous in the open field. Receivers: This is a huge hole for this Michigan team. Senior Jeremy Gallon returns as Gardner's top option after a strong last season. He proved to be a big play threat in '12 after recording nearly 17 yards per catch last year. Gallon has game breaking speed and is very exciting to watch. Also returning is another senior in Drew Dileo. Dileo has good hands and is ready to step up in a big way after recording 20 receptions last season. Other than those two the wide receiving corps is very weak and young. Sophomore Amara Darboh has a ton of potential but has some big weaknesses. The tight end position is very strong with the return of sophomores Devin Funchess and A.J. Williams. Both are big, intimidating presences in the middle of the field and Funchess has proven to be a very effective blocker. Offensive Line: After briefly flirting with the NFL after a fantastic junior season offensive tackle Taylor Lewan returns. 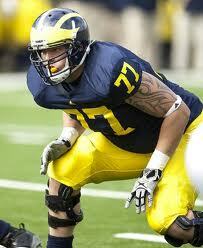 Lewan is huge and tough to get by, but is very athletic and can impose his will at the next level. He is a basically an All-American lock and should be the first tackle taken in the 2014 draft. Lewan will be a force on the left side but teams shouldn't be able to rush from the right easily either. Senior tackle Michael Schofield is a beast and can keep opponents back. Although Lewan and Schofield are monsters on the side, the biggest weakness is in the middle. At one guard spot Hoke looks like he will have to rely on freshman Ben Braden who has potential but is definitely unproven. The center slot is also a weakness and unproven as the starter looks like it will be sophomore Jack Miller. Maybe even freshman Patrick Kugler might get a chance to start as the nation's top incoming center. Defensive Line: Getting a linemen who can get pressure on opponents will be key for Michigan in 2013. The Wolverines loss a number of players up front after an average line a year ago. Junior Frank Clark has the talent to be a true force this season. Clark is a speedy end and is very tough to stop and could rack up a number of sacks this year. The middle of the line is very solid with the return of senior nose tackle Quinton Washington. Washington is a monster and clogs up running lanes with his 300+ pound frame. Starting alongside Washington and Clark up front will likely be senior Jibreel Black who had a strong 2012. He is also a run stuffer and can provide some decent pass rush. If Clark struggles or anything the Wolverines may rely on an impact freshman Taco Charleton. The extremely athletic, 6-6, 249 pound beast will probably be a sack machine in a couple of years in Ann Arbor. With his frame and tackling ability it is a possibility he could spend time at outside linebacker to get more playing time this year. Linebackers: This group of linebackers is a problem with the top two talents gone. One of them, Kenny Demens was an absolute tackling machine and another, Jake Ryan, is a great pass rusher. Ryan was expected to be a huge contributor this season after recording 88 tackles and 4.5 sacks last year. Though he tore his ACL in spring drills and is expected to miss the whole season. Junior Desmond Morgan returns after a solid 2012 will move from the outside to the middle. That should definitely increase his production. 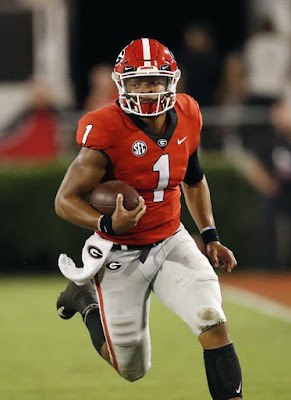 Another Gordon, Cam, should move into a starting role after being a rotational player the past couple of years. The senior should be a force as a pass rusher and should help Michigan in coverage as well. Sophomore James Ross should start at the other outside 'backer slot and has the potential to be a stud. The starting three is relatively strong though depth will be a issue this season. Secondary: The Wolverines' pass defense was very strong last season and shouldn't be too bad again in 2012. Although Jordan Kovacs and J.T. Floyd both are gone this unit is solid. Junior cornerback Blake Countess returns from a torn ACL. He has a ton of talent and can be a shutdown corner at times but staying healthy is a real issue for him. The other cornerback position appears to be a major question mark for the Wolverines. Another junior, Raymon Taylor, could have a chance at starting but freshman Ross Douglas will make a real push to be the starter. Four-star Detroit product Jourdan Lewis could also get an opportunity to get some snaps. Senior Thomas Gordon had two interceptions last year and returns to be the starting free safety. He is also a sure tackler and can make his fair share of plays. The strong safety spot is also a question where junior Marvin Robinson will battle for the job. 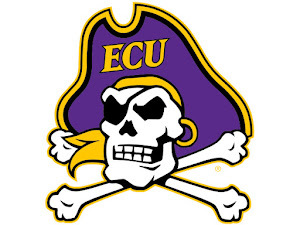 A number of freshman should also make immediate impacts. Although the defense has a lot of holes and the receiving corps doesn't have much depth the Wolverines could still win the Big Ten with all the talent on their roster. 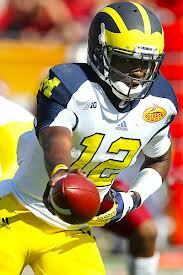 If Gardner turns into the second-coming of Robinson Michigan could ride that talent all the way to a BCS bowl.